I am just very excited about this find for just so many reasons the main one being that it’s Disney inspired!! I mean how awesome is this?! 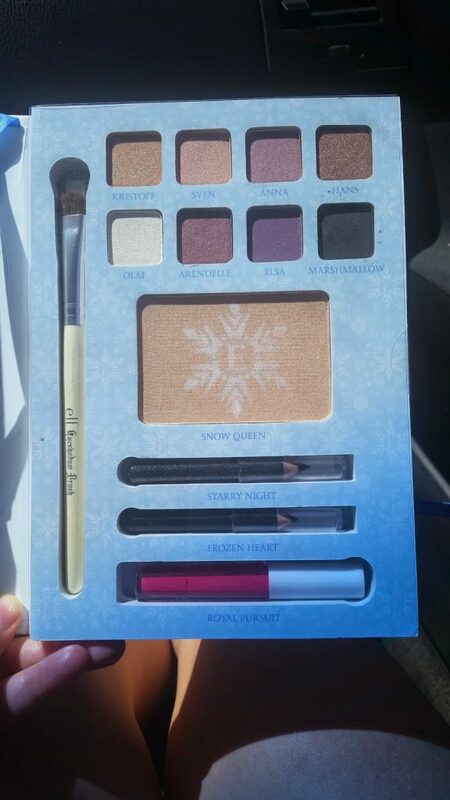 I am obsessed with Frozen.. well I am obsessed with Disney in general but I went into Walgreen’s in search for a tanning lotion since I am on the way to Anna Marie Island in FL and as i was walking toward what i needed && I saw this out the corner of my eye.. a makeup palette! Disney?! Frozen?! I’m sold! I love makeup palettes especially when given directions on how to ‘get the look‘. Also it comes with a makeup brush! e.l.f. is a great makeup brand. I have a lot of their products and was just over the moon when I saw this in their Frozen section! It was reasonably priced, only $12.99!! Thats what I LOVE about e.l.f. is that they are very cheap yet their quality on products are very good! Walgreen’s also had eyelashes from Elsa, Jasmine, Ariel && Snow White! If anyone knows the ABC Show Revenge I have a palette from them that I got at ULTA that gives me Emily & Victoria’s ‘how to look‘ and it’s fabulous! 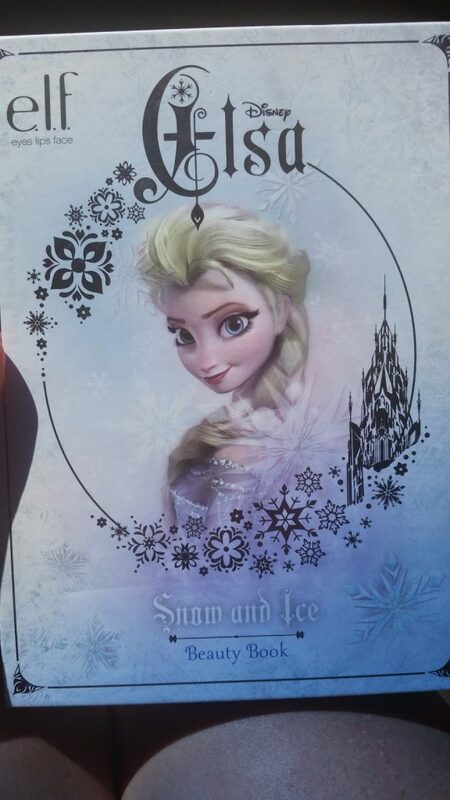 The best part about this beauty find is that it gives you TWO different Elsa looks! You have Elsa The Snow Queen && Elsa The Ice Queen! Plus I love how all the different eyeshadow colors are named after the characters in the movie! So which look do YOU like best?! I will be trying out that look tomorrow night so follow me on instagram to see my Elsa look! expect the brush! I was so excited about it too! But the quality wasn’t great and the bristles were falling out as I was using it. Would not recommend the brush! But everything else YES! What a neat makeup find! 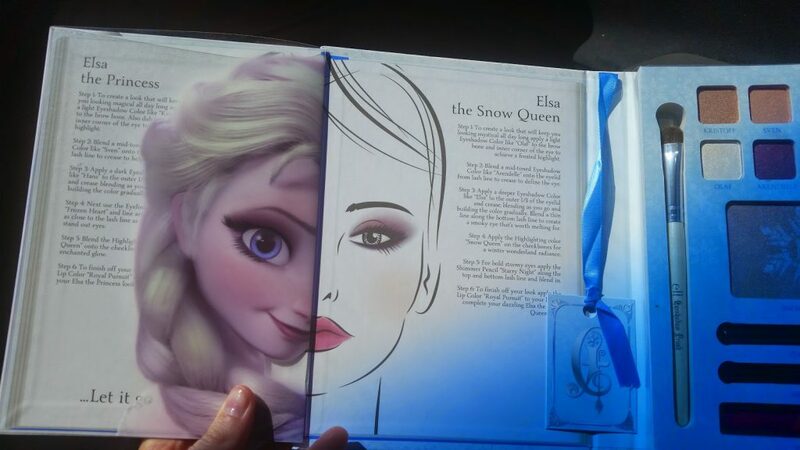 I am not really into Frozen, but those makeup colors looks nice. I love your super make under first photo lol. That's how I look before my morning coffee everyday 🙂 We love Elsa around here, so some mommy dress up time would be fun! Oh, what a fun make up palette. I bet a lot of tweens would love to do make up like a Disney princess. 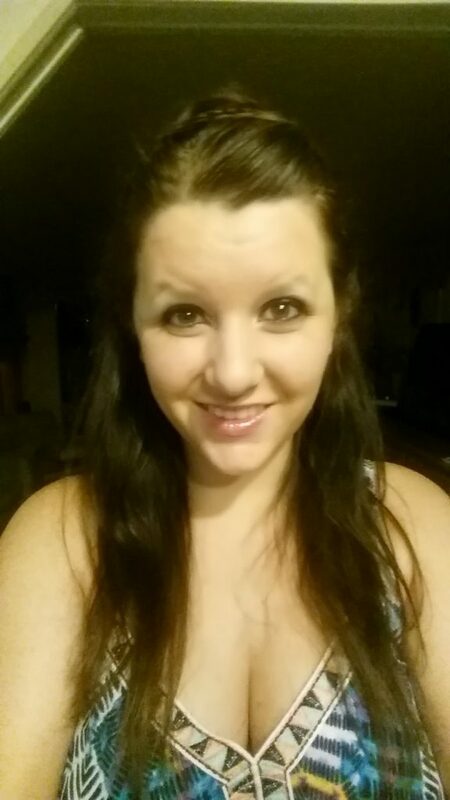 I don't wear makeup at all except on special events like weddings or galas. But that is definitely cute. A great find for you indeed. How fun!! 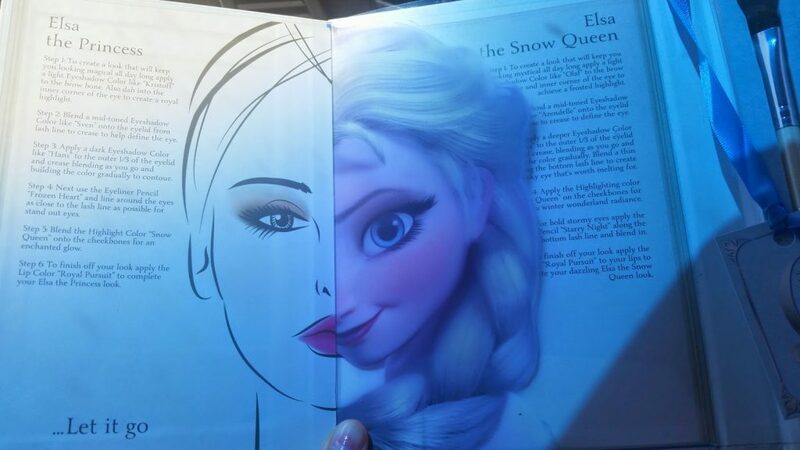 I love Frozen and think it would be fun to have their makeup tutorials!! I love it. I have to get it for my daughter. I can be rather fussy with my brushes and tend to not like the ones that come in kits. I have been to so many different Walgreens trying to find the Elsa makeup kit. I was a huge fan of the Ariel one they had last year so I knew right away I would be in love with this palette. You have great before and afters! I enjoy Frozen as a Disney movie and felt it was great, but even kiddo got tired of all the media hype. Some of the products though are fun. Like this make up set. Good find. I love the before and after. Beautiful pictures. I have an 8 year old little girl that would love this. She would be over the moon about this. What a fun kit. It looks good on too, your after shot looks great! This sounds like an amazing find indeed. I love that it comes with the instructions on how to apply it too. I would probably like both looks but would go more for the snow queen. Thanks for sharing. What a beautiful palette! I am always tempted by the elf books when I see them during Halloween 🙂 Great demo, too! These are absolutely great finds! Thanks for sharing this awesomeness to us Angie! 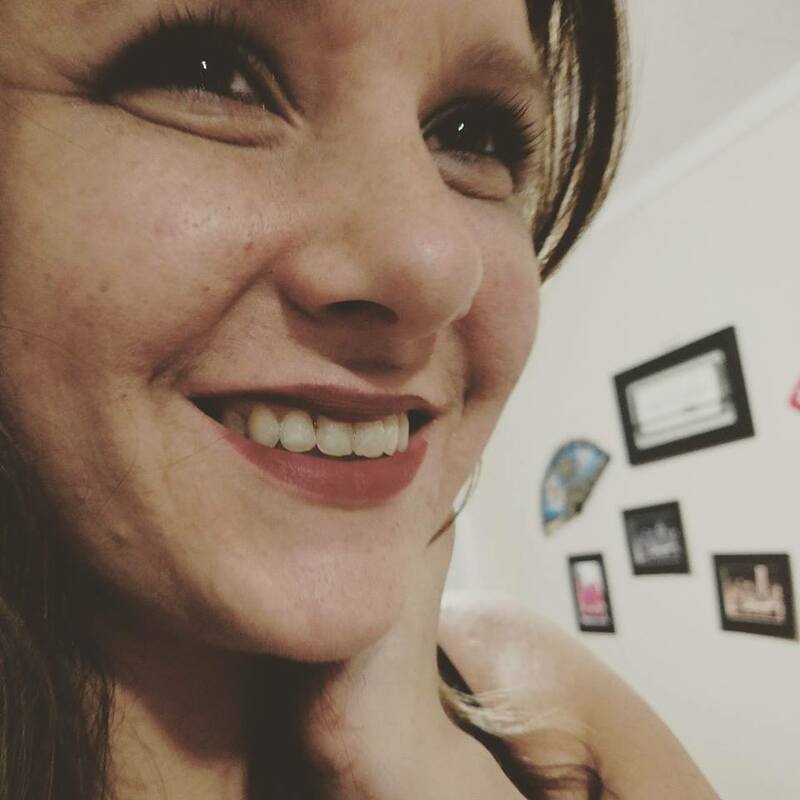 You're so beautiful after you put a makeup, and this is awesome too! This is perfect for my daughter, she really like to look alike elsa. This is awesome. I love how they're trying to 'humanize' Elsa and it's so great that the Frozen fever isn't just for little girls, but it's for grown-up too. I'd want to have one! That is pretty neat. I love the before and after, what a difference! My daughter is so obsessed with Frozen and would love this. I love the Elsa look. I am going to have to show this to my daughter. She absolutely loves Frozen. I hope I can find this for her. Oh cute! I've heard that specific kit is sold out everywhere! So lucky you snatched it! Well, this is an awesome find indeed. I love finding bargains. Makes me so happy that I saved. Wow! 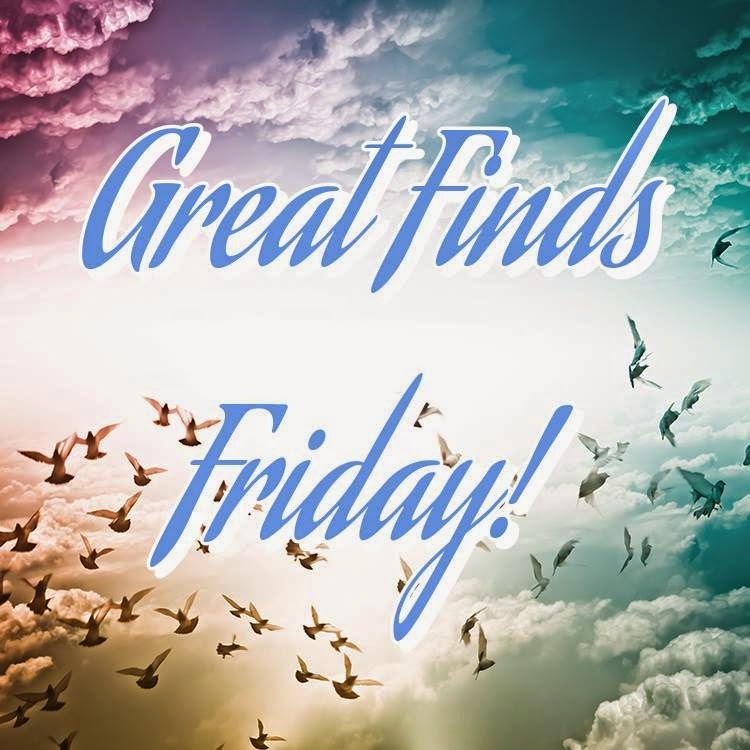 That really is a great find! The colors look great on you! That's a nice before and after. I won't be using that (I'm a dude), but you look amazing! C'mon now, where's your sense of adventure? OK, I won't be using it either, but it's crazy to see the difference, even though in the second picture it still doesn't look like she's wearing a lot. WHAT?! I need this in my life… I mean my daughter would love this! LOL. I have never seen this before and I do like Elf products! Awesome find! Ah how awesome! My girls are obsessed with anything frozen. They'd want this to play with for sure! 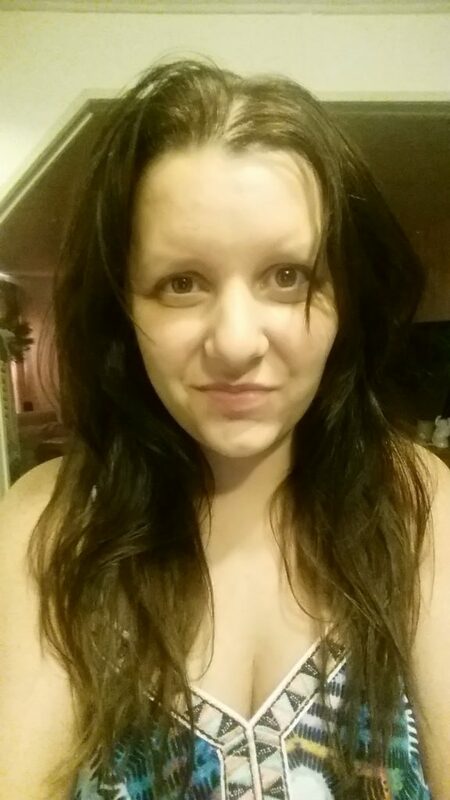 Mind you, I may too if I wore more make up! Also, you are so pretty! OMG I want that, haha seriously! HAHAHA! And hey, it totally looks super great on yoU! What a great price and I love the eyeshadow colors! My daughter would love this. Ok, that IS a really cool find. I know so many people that would LOVE that.